E.E. Cummings (or e.e. cummings as he preferred) wrote this advice to a young poet, and my poetry teacher shared it with me when I first started writing. After 27 years, it’s still not easy, but I can’t stop, and starting next week, I will write one poem a day for 30 days. I’ll be participating in Tupelo Press’s 30/30 project, and joining over 175 poets who’ve committed to writing 30 poems in 30 days. Four poets will join me for March, and I’m excited to get started. We’re all inviting family, friends, and colleagues to sponsor us. It’s not a competition, but we’re all raising money for Tupelo Press, one of the best independent publishers in the country, and a great supporter of poetry. But I need a little more than a retweet or Facebook Like. Support my efforts with a donation. Independent literary publishers are mission-driven—they focus on publishing literature. Independent literary publishers provide access to the voices of entire communities. Independent literary publishers produce over 98% of poetry being published each year, and the majority of literature in translation and works of fiction by emerging writers. Your sponsorship can be at any level; no amount is too small or insignificant. 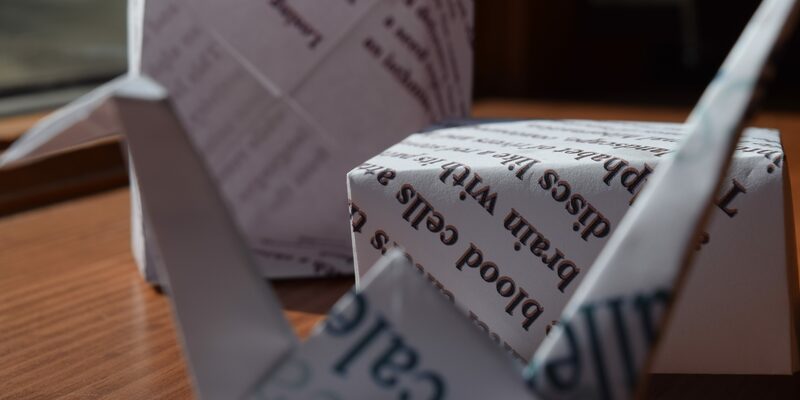 For a donation of $10, I’ll send you a personized origami box, designed with one of my poems. For $15, I’ll dedicate a poem to you. If you can support me with $30 (just $1/day), I’ll send you a signed copy of either Four Blue Eggs or Reconnaissance. For a donation of $60 (2 dollars a day), I’ll send you a signed copy The Comet’s Tail: A Memoir of No Memory before its April 10 release date. Customize your donation. Birthday coming up? Need a wedding poem? New baby coming? Retirement? I’m in. Tupelo Press is a prestigious non-profit press, for seventeen years their mission has been to publish new voices. They are giving my work some exposure, which is sometimes hard to come by. I’m very lucky indeed to have had such great support throughout my writing career. Keep it going and kick off March with me. I’ll post my first poem in just over a week. Follow my progress. Sponsor me with a donation of $5 for your very own origami box, personalized with one of my 30/30 poems!